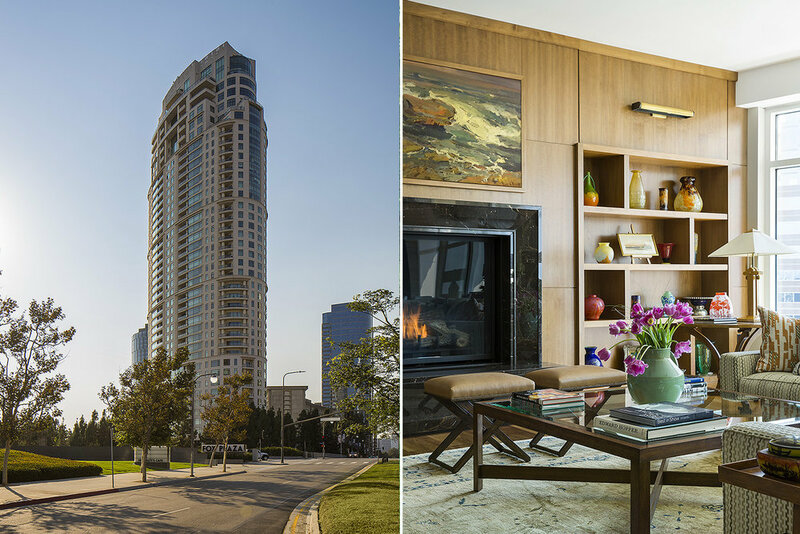 This is a new, Robert Stern designed, Art Deco influenced, high-rise condominium in Century City, Los Angeles. The apartment was conceived by TCA as a 1940’s era, Parisian Modern interior. 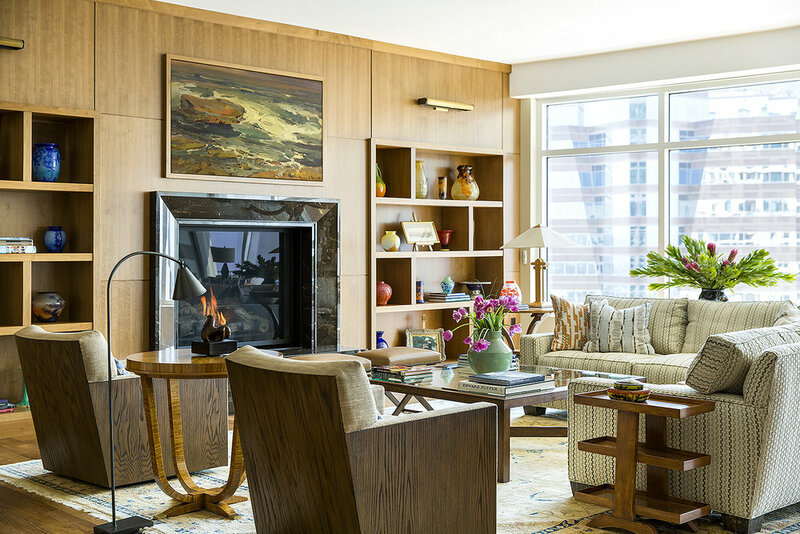 We specified clean wood paneling as the background for the client’s special collection of American and European Art and Art Glass.